Being the market leader of this domain, we manufacture, supply and export the premium quality of Aramid Fiber Hand Gloves. Owing to their resistance against puncture, smooth finish and perfect fitting, the offered aramid fiber hand gloves are highly demanded. 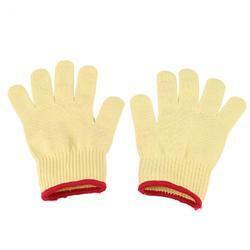 In accordance to their needs, the offered hand gloves are available with us in various sizes. 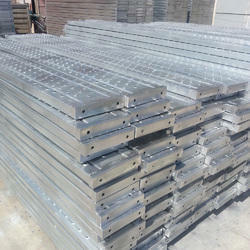 In order to keep pace with the requirements of the clients, we are offering a quality approved array of Scaffold Planks. 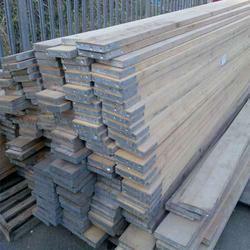 The Planks we offer is widely demanded amongst the clients for its availability in various sizes. Constructed sturdily these products are suitable for various applications. Our organization is highly popular provider of Steel Plank to our patrons. We are counted among one of the leading manufacturer & IMPORTER of Welding Blankets/Fire blankets/welding booth/welding curtains for horizontal & vertical applications. Non Asbestos Welding Blankets are known worldwide for their high resistance against temperature, heat & molten metal. 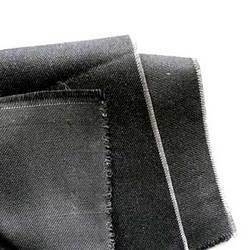 The temperature resistance of these Welding Blankets ranges from 550 D.C. to 1260 D.C. We manufacture our range using quality-tested cloth such as ‘E’ fiber glass , ceramic fiber glass , Hi silica, carbon fiber & aramid fiber,Nomex fiber with Different kinds of coatings such as graphite, vermiculate, silicon & PTFE ,FR . Thus, our range inhibits optimum service life and endurance. We are offering a huge assortment of Cooling Jackets to our buyers across the country. Our Cooling Jackets are preferred in various industries. As a reliable Manufacturer Supplier from Maharashtra, India, we ensure that customers only obtain a quality assured product. 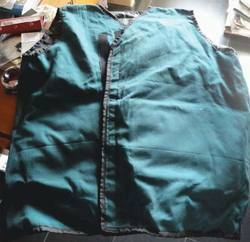 Hence, our quality analysts check the Cooling Jackets on stringent parameters and standards before the final dispatch. We are acknowledged as one of the leading industrial safety suits manufacturers in India. We cater a huge range of safety suit such as aluminized fire proximity suit, industrial safety suits such as PVC, FR (Fire Retardant), They are highly fire resistant and have extra strength. These safety suits are produced under experts supervision with great care to provide comfort. They provide extra protection under the most adverse circumstances and keep your body safe from eternal hazards. Their consistent performance and high quality create a user friendly interface. Safety suit manufactured by us is widely recommended for its longevity and several other features. Clients can avail from us a comprehensive range of Fire Proximity Suits, which includes Aluminized Fire Proximity Suit, Industrial Safety Suits like PVC, FR (Fire Retardant), Tyvek, Nomex, and Kevlar (Dupont Products) Suits. Our complete range is acknowledged for its excellent resistance against fire & high temperature. 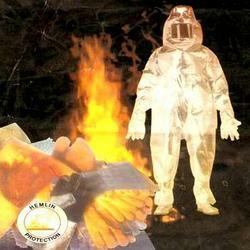 These suits are widely used in nuclear plants, fire affected areas and by fire fighters. 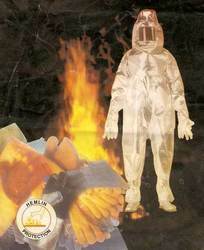 The Fire Proximity Suits offered by us provided excellent safety, comfort and a user-friendly interface to the wearer. To cater to the various requirements of Safety Products, Hemnil Protection, commenced its business operations in 1985 as manufacturer, supplier and exporter. 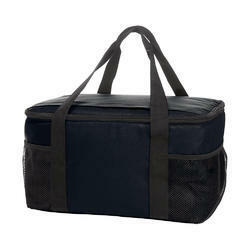 Our product range includes Industrial Safety Products, Hand Gloves and Industrial Lifting Bags. Industry advanced technology coupled with innovation has made us the preferred choice when it comes to quality, reliability and durability. We utilize fine quality raw materials procured from the reliable vendors to assure flawlessness and excellently finished products. Interfacing with the changing market trends and dynamics, we have been able to meet exceed our customers’ expectations in in various industries namely chemicals, paint & adhesives, pharmaceuticals, and dyeing industry. Moreover, our expertise in offering prompt and efficient products at competitive prices has helped us in garnering a vast client base across the world. Our state-of-the-art infrastructure forms the backbone of organization. With the advent of technologies, we have up graded our infrastructural facility to keep a pace with the ongoing market developments. Thus, with the assistance of our efficient work force and advanced infrastructure, our company has earned remarkable accolades in this domain. Owing to the priority and concerns to serve quality products, we have established an effective system under the supervision of vigil quality professionals to keep a check on the entire production process. Through the development of new products, refinement of existing designs, and our ability to create custom products, we have consistently demonstrated our ability in foreseeing the evolving needs of our customers.